The Galleria Vittorio Emanuele II is the world's oldest shopping mall. 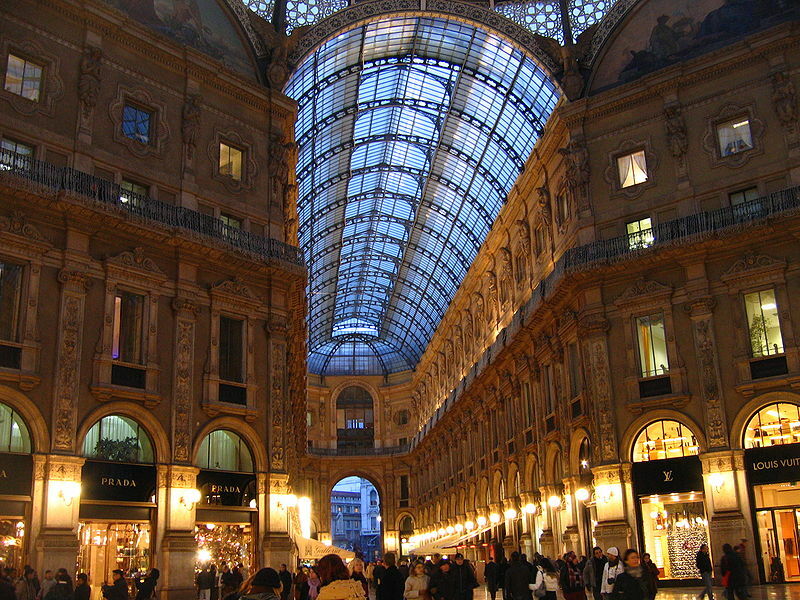 Housed within a glass-roofed four-storey double arcade in central Milan, the Galleria is named after Vittorio Emanuele II, the first king of the Kingdom of Italy. 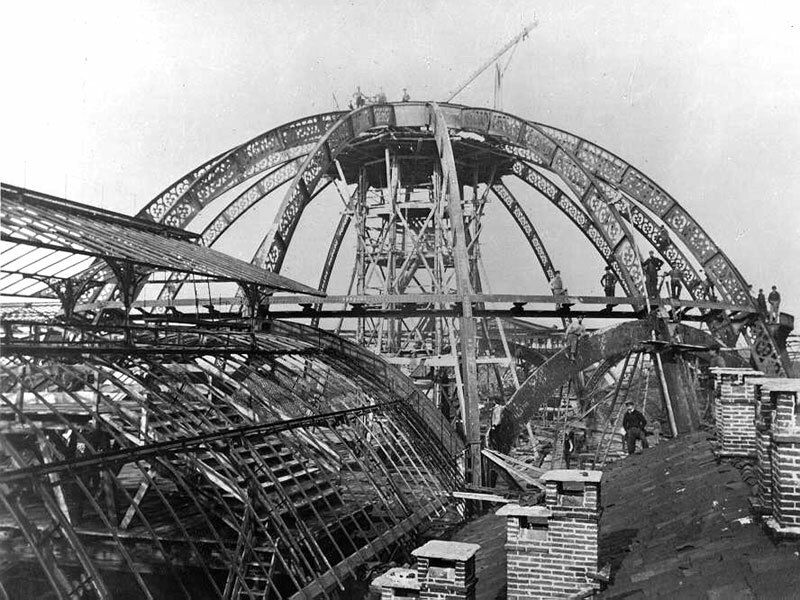 It was designed in 1861 and built by Giuseppe Mengoni between 1865 and 1877. As of 2013, the arcade principally contains luxury retailers selling haute couture, jewelry, books and paintings, as well as restaurants, cafés, and bars. The Galleria is famous for being home to some of the oldest shops and restaurants in Milan, such as Biffi Caffè (founded in 1867 by Paolo Biffi, pastry chef to the monarch), the Savini restaurant, the silverware store Bernasconi and the Art Nouveau classic Zucca's Bar.